Not sure why people are shocked when I say I'm a gamer. I love to play games, computer games to clarify. I've had them all from a Commodore 64, yeah that's an early 80s computer gaming system, sega, playstations, Gamecube, Wii, never did get on the X-Box vibe, guess I wasn't much of a gamer after all. Yet there is nothing better, umm well I guess at this moment on time, heat would be better but a game to sink your mind and teeth into. There's a reason they are deemed addictive. When I first got New Style Boutique to try out I thought oh how targeted, I'm a female, who enjoys playing dress up, make-up and hair oh and who writes about vanity daily. Bingo, it's for me. Let me tell you I spent TWO and half days on this game, that's right, I wanted a permanent crick in my neck. Tell you what, my Dad even tried it out and my Nan!! My Mum opted out of trying lol. I carried this around Ikea, Sainsbury's, yes the addicted was brewed and nobody heard a peep out of me unless I was showing them my progress. It had me second guessing, I should be a stylist lol. Now I have no shame, if I like something, I don't care who knows, that's just me. No hiding in the closet here, R. Kelly won't be singing about me. I thoroughly enjoyed this, I do have a addictive and competitive personality and I have to complete and beat myself in whatever when the time presents itself, this game was no different. Nintendo says "Always had a passion for fashion? Think you can create a stylish look for just anybody? 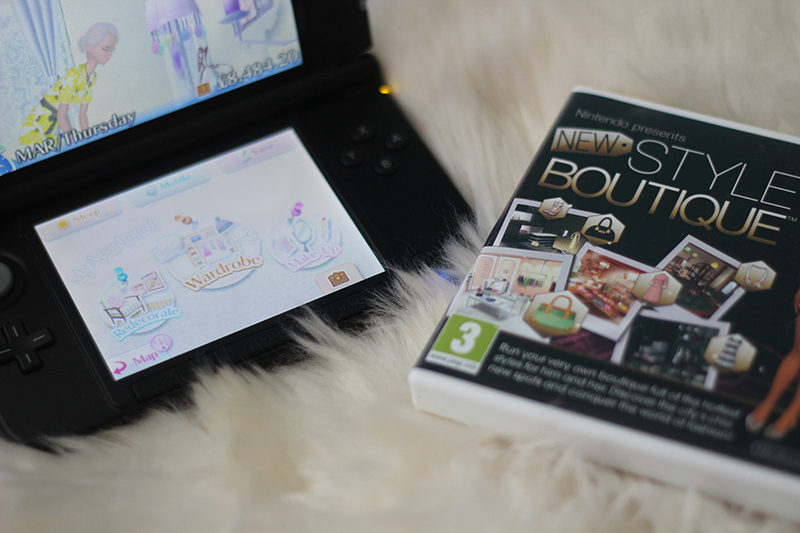 Well, now you can be the trendsetter you always wanted to be and get your fashion fix with Nintendo presents: New Style Boutique!" I've always personally liked fashion, dislike shopping yet enjoy viewing trends and finding new outfits that go together. Within this game storyline you start off as a assistant at Verano boutique owned by stylist Evie within a town that's steadily building itself into being the 'It Town'.Customers come into the store, requesting a certain look, you have different style categories such as 'casual', 'chic', 'feminine', 'bold', 'lively', 'babydoll', 'rock', 'girly' to name a few. When a customer comes in, it gives you a brief blurb on their name and interests. When you are spoken too, words come up highlighted in yellow, which allows you to read more about it in the fashion 101 dictionary. 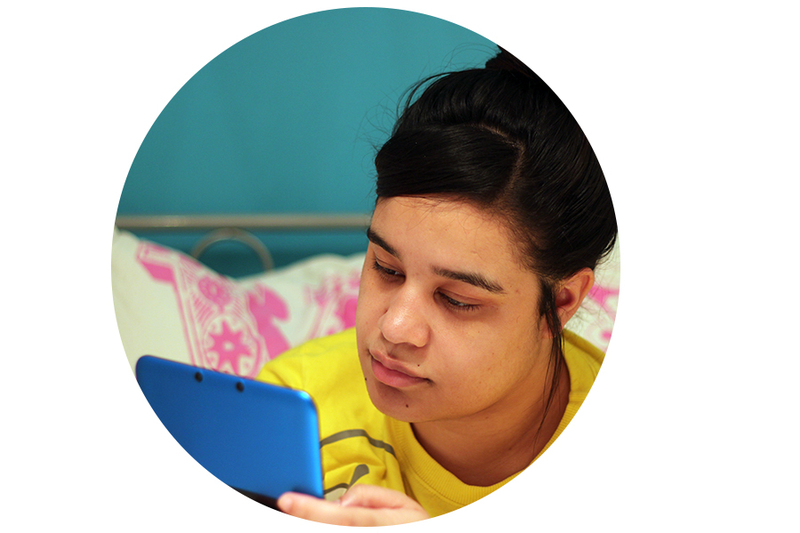 Inners, Tops, Jackets, Dresses, Shoes, Bags, Jewellery, Glasses, Scarves, Socks - there's over 12,000 items to choose from, like most games, with more play, more items become available. All within their specific category. Now it sounds easy as I thought it was until, people start to come by and say can you put together an outfit for them that suits their style. They give you no hint and you often have to go by what they have on. Once you've picked out their outfit, you get the chance to tell them to 'take a look' or 'try it on' if you are confident they will like it, you can tell them to take a look, if you do that and they don't like it, often enough you will lose that sale. It's safe to say that really the outfits don't have to be put together well, as long as their somewhat within the category they've asked for your safe. I did find that if I had the majority of things from for example 'girly'...I could mix it within items from 'chic'. Keep in mind, some of your customers do have maximum budgets, while some have approx and you can more so get away with bumping up the costs with those customers. Eventually males also begin to enter the store and you can have a unisex boutique. There are fashion shows where you compete to become the top stylist. Other shops open within the town such as the hairdressers, beauticians, furniture store, tea room, fairground, park and live music club, photo studio and the contest hall. So you can go get your hair done, change your hair colour and highlights yourself or pay for a top stylist. Purchase make-up and beat your characters face!! There's fashion within this game that's in trend, do you know this game turned me onto loving brogues, so much so, I had to buy a pair. It's also online interactive, you can visit other players shops, buy their clothes, let them put an outfit together for your character. Another point, just by doing simple things like, changing your outfit, pleasing customers (you get more points if your characters takes a look and loves the outfit), redecorating your apartment or boutique & more you have a happiness jar which fills up during the day / night and when it gets to late night before dawn the jar will empty and fill up the moon which turns into the sun, if filled up it sprinkles goodness over the town and something will happen, maybe gifts? A new store opens? Who knows! There's little things like your mobile phone and you can read emails, take photographs of customers, yourself and others at different locations and even a magazine. The months on the game go accordingly to the current month we are in, set by the date on the Nintendo, the weather even changes, so you do have to remember to buy items that are suitable for the season. I found that quite cool. It's very easy to use. Being that the Nintendo is touch screen, all you have to do is touch the screen, there's no character talking, it's just the games music and text to read. It's straight forward and there's not much to think to deeply into. The contests when they get higher ranked it can be more difficult, I got so use to winning all the time and then when I hit the highest contest level it can be more difficult to win. All ages, seriously I know children would love it and teens but come on I'm going on quarter of a century and couldn't put it down. It's a guilty pleasure on a grey day, sunny day, whatever the weather. I wanted something different to sink my teeth into and this did it. Made me think about outfits I may try for myself - like the brogues. It did take me a little longer outfit wise because maybe in that retrospect I did think more deeply about. Whoa, now that was a lot of writing lol and I applaud and thank any of you who did read all of that! I'd love to know if any of you ladies are gamers? 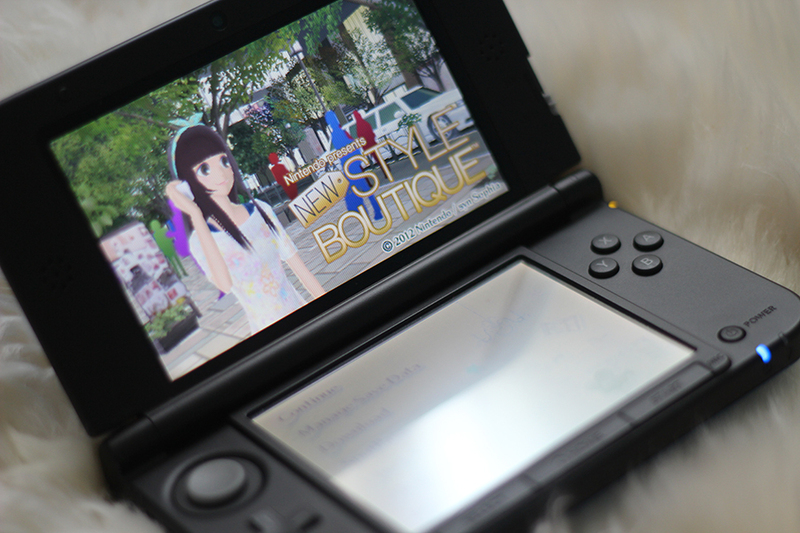 Do targeted hobbies such as fashion and beauty within games, intrigue you more? I’m a gamer too! I did play the older version of this game for a bit, my younger cousin actually got me into it, but then I got stuck on a level and gave up! I think I would be intrigued by something that was beauty based but acting like a guitar hero is a nice bit of escapism hehe. Great post, it is so nice to know what people are into other than fashion and beauty. Ahh cool! I'm a bit of a gamer but I stick to racing games like Need for Speed or Tekken Tag lmao!